Tommy McAulay , Carol Flahive , Paul Sillery , Kevin Rahill , Brian Sinnott , Ciaran Doyle , Terry Sillery , Brendan Kavanagh , Tommy Murphy and Nicky Keogh at the New Year's remembrance service. 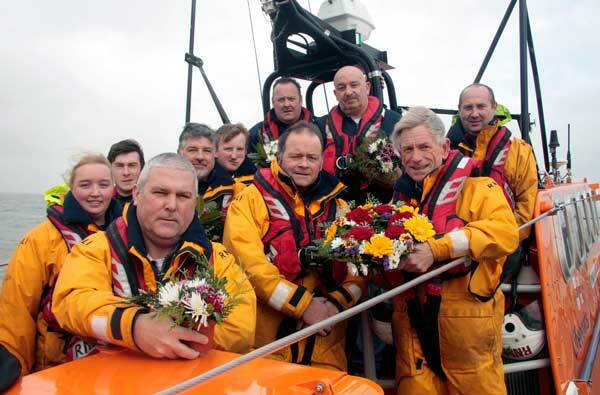 Volunteers from Wicklow RNLI Lifeboat held their annual Service of Remembrance on New Year’s Day to honour deceased lifeboat members and all those associated with the sea from the area. The ceremony began with a short religious prayer conducted by Father Donal Roche who blessed the flowers and wreaths. 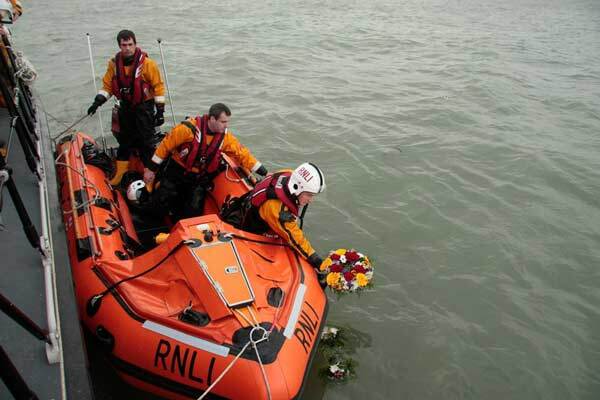 After the blessing, Coxswain Nick Keogh and the lifeboat crew took the floral tribute out to sea and placed them on the water. 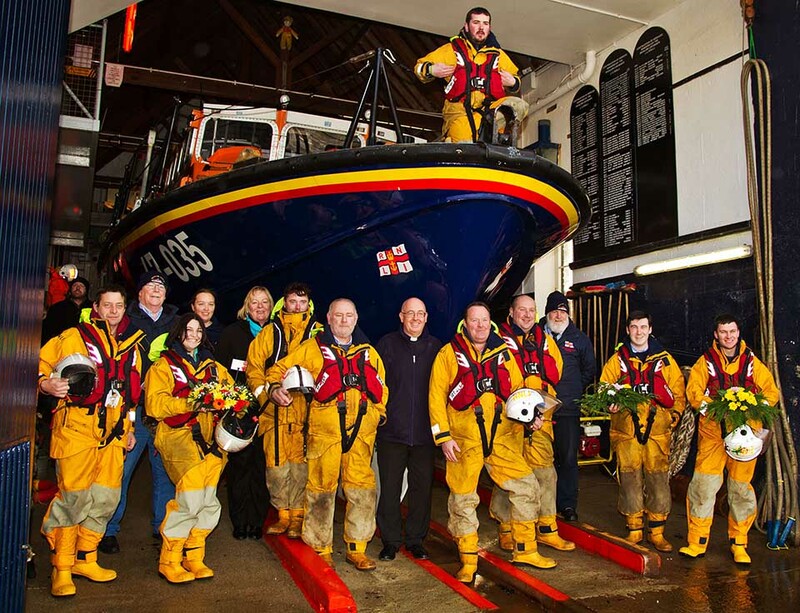 Helm Alan Goucher , Peter McCann and Paul Sillery launch the floral tribute.